Inevitably during the course of your life, you have accumulated a ton of stuff. Whether it was many late night impulsive Amazon shopping sprees, your grown children leaving their belongings at your home when they left for college, your piles and piles of tax paperwork or the holiday decorations you continue to buy every year, you are feeling overwhelmed at the thought of having to reduce the amount of stuff you have. Downsizing could be selling your home for a smaller, less expensive one or it could just be downsizing the amount of clutter you have. There are so many reasons why a person chooses to downsize, and doing so could very well be the key to getting the life that you want. There is even a growing trend called Minimalism, which has brought many homeowners a sense of focus and peace. Before you can get into the process of downsizing, you must first know why you want or need to do so. Going from a bigger space to a smaller one is a big decision and requires a lot of thought. Even though there are a lot of benefits to downsizing, that surely doesn’t mean it is right for everyone. If you’re trying to decide if living simpler is right for your current lifestyle, we also recommend our article Time to downsize? As you will read, sometimes downsizing is based on necessity and other times the decision to downsize is made strictly on your wants and wishes. Finances: You have goals for your future - Maybe you want to cash out the equity from your larger home and buy something smaller, allowing you to travel or retire. As it turns out, downsizing will typically save you money in many areas. Your mortgage will be lower, your utility bills will cost less and you will have less to repair and maintain. Maintenance: You are having a hard time maintaining your home because it is too big and too much for you. Over it: You are tired of cleaning spaces you don’t use, or having entire spaces devoted to junk. Excessive bills: You are paying too much in utility costs on a home that is too big for you, with spaces you don’t even use. For the kids: You want to move to a better area and will sacrifice home size for a better school system for your children. New construction: You want a brand-new home, which typically costs more than resale homes, causing you to make up for the higher costs with a smaller home size. Less driving, more walking: You are looking for a home in a location with a good walkability score. Good neighbors: You want to live in a community. City livin’: You want the convenience of city life. Empty nest: Your kids moved away and you don’t need a bigger house any longer. Sustainability: You’ve started thinking more about the environment and you want a smaller footprint. Change of life events: Maybe it isn’t even an option for you. Perhaps you are going through a divorce, or had a change in income. Or you are getting married and trying to downsize two separate homes into one. Declutter: Sometimes downsizing isn’t actually moving. Maybe it is just going through a storage unit and getting rid of stuff so that you are not throwing your hard-earned money away every month. You find value in a large home. 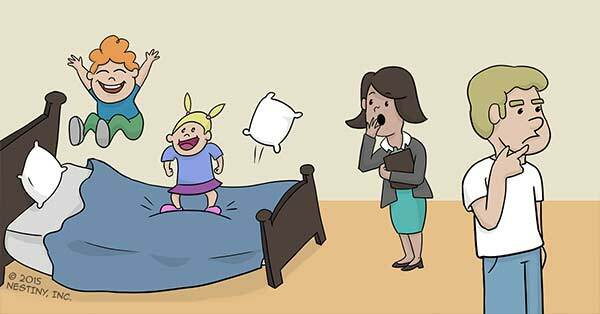 You don’t want to move until your kids are grown. 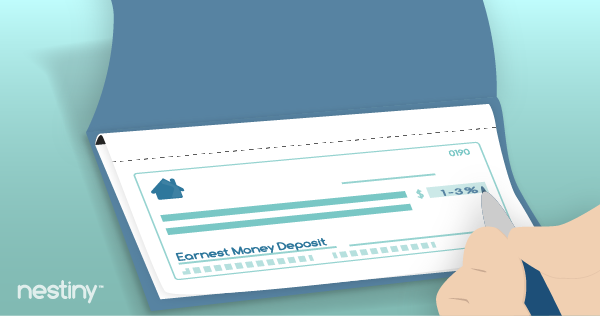 You have paid off your home so you may incur more costs moving vs. staying put. You’re busy and stressed out so moving may be too much right now. You’ve written down the pros and cons, and the cons for downsizing outweigh the pros. Having a solid reason to downsize allows you to visualize your new life and that will make the process so much easier. Once you have determined downsizing to a smaller home is right for you, how do you envision your new living space? No matter what you determine is best for you, always keep your future in mind. The country — If you need a more affordable region, suburban and country homes are typically less expensive. Keep in mind that these homes can be further away from civilization so you may spend more on transportation and you have less access to local amenities. The city — Maybe you prefer the city where everything is in arm's reach. It’s important to note that living in the big city means you get less for more - much smaller spaces for higher monthly payments. The view — If retirement is your main reason for downsizing, do you want to move somewhere that the sun always shines, somewhere with a view, or somewhere that you can feel like you are on vacation all year long? Close to family — Do you need to stay close to the kids, grand kids, extended family or friends you call family? Low maintenance home — Perhaps you’re looking for less responsibility that comes with a low maintenance home. You don’t want a yard to take care of or maybe you want a home with easy and clean vinyl siding. Find a home that meets your definition of easy maintenance. Condo — A condo is also a low maintenance option. Just be mindful of the Condo Association fees. A community with a homeowner’s association — Sometimes these communities have an HOA that covers the outdoor maintenance for you. Pay attention to the HOA costs as you are looking for your new digs. Retirement development — Maybe you are even interested in moving to an age restricted retirement development which usually comes with outstanding amenities and often includes assisted living personal care medical services when you are having health problems. These developments usually come with a first floor Master for easy mobility within your space. Vagabond — Or maybe you want to travel the world or live the RV life. If you are not quite sure where to move and aren’t ready to commit to a specific area, you could always rent until you determine if an area is right for you. Find the area (country, city, neighborhood, community) first, then look for the perfect smaller living space. Know that in the long run, this process is totally worth doing! It is freeing and liberating to get rid of clutter and the end result will be a simple, happy life. 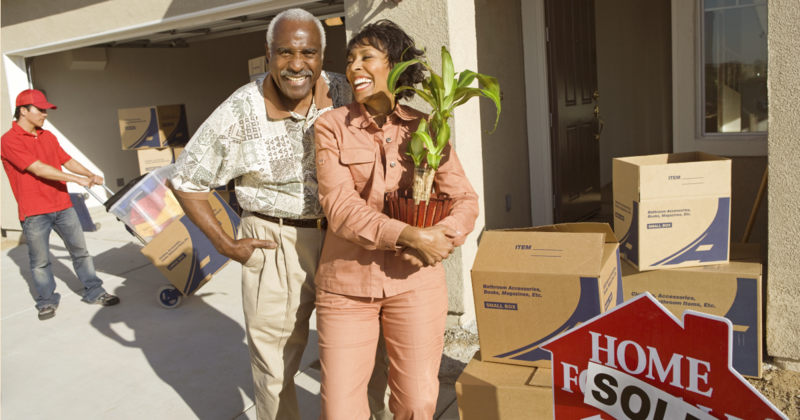 Have you determined that downsizing is best for you? You know why and you know where you want to go. Exciting stuff! Now what steps do you need to take to make this a smooth transition? Communicate with the whole family. Make sure it is best for everyone and you all agree before any decisions are made. Plan. Plan as far in advance as possible. Set goals, and stick to them. Declutter room-by-room. Start with the rooms you don’t use much such as your spare rooms, storage areas, the attic and the basement. Then move to the areas you use most — rooms that hold the items you use daily. Take inventory. Determine what you have and what you absolutely must keep. Give yourself time to go through the rest. Declare a storage room for boxes. As you go through each space, set up one room to store everything as you begin packing for your new home. Pack up the seasonal items and belongings that you don’t use often but plan to keep. Donate, toss or recycle the items you do not want quickly to get them out of the house as soon as possible. Don’t give yourself the option of changing your mind. Get organized for your new space. As you are going through your home and you are preparing to downsize, take the time to go through each item and visualize where it will go in the new home. The worst thing you can do is try to keep all of the stuff you have in a large home and try to fit it all in your new smaller space. Keep the size and layout of your new home in mind as you sort through your belongings. This will help you decide what you can fit and what needs to go. Be creative. Part of downsizing successfully is having pieces of furniture with multiple uses and purposes such as a storage ottoman. You can even be creative with multi-use spaces in your new home such as an office that becomes a guest room when company arrives. That way you don’t have any empty or unused spaces. What should I do with my belongings? Even if you decide not to downsize your home, the benefits of periodically downsizing your clutter and belongings have a lasting effect on your peace of mind. You can read some incredible benefits of decluttering here. But it all starts with the decision to declutter. Take Nestiny’s One Month Declutter Challenge, which includes daily exercises in eliminating clutter. You’ll either prepare yourself for a move to a smaller space, or reinvigorate the love you have for your current home. Either way you’re sure to find peace for a lifetime to come. Let’s discuss some tips for handling what we consider the hardest part of downsizing — decluttering and getting rid of stuff. By planning in advance, taking your time and going through everything way ahead of time, you can eliminate panic as you work little by little to meet your goal of living a simpler life. 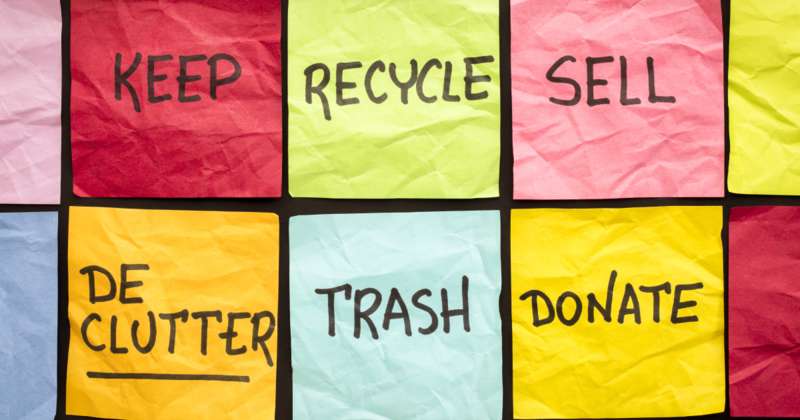 How do you decide what to keep, throw away, sell, or donate? Keep only the select items that you have determined are worthy of keeping. Trash only the items that can never be used again by anyone. Sell most of the items you don't want. There are many places that make it easy for you, such as Craigslist and eBay, to name a few. 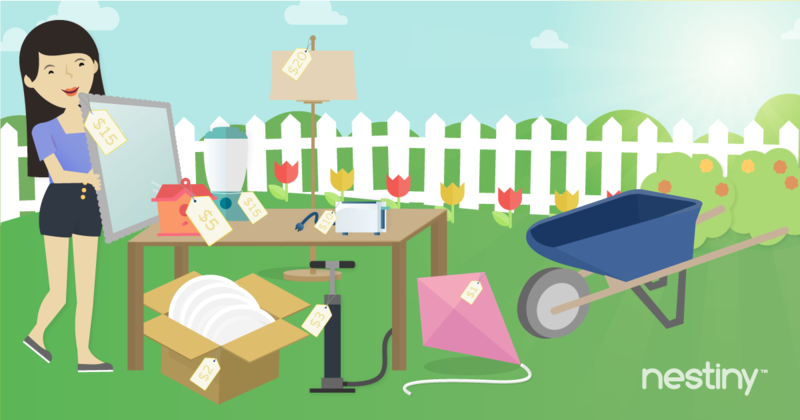 Or you can plan a yard or garage sale to see what your neighbors may like to buy. Donate the rest. If you don’t have the time or energy to sell anything, there are many places to donate your items that will find great use out of them! You may even get a tax break by making donations. You can also offer up items to your children, relatives and friends who may be happy to take them off your hands. How often do I use this, or when was the last time I used this? Why do I have this and will I need it again? Is this item in good shape and how long will I continue to be able to use it? If it is broken or in need of repair, how much would it cost? If broken, would it be cheaper to buy a new one? Is there something else that I own that serves the same purpose? Would I be OK if I didn’t have this item or is it something I would have to replace in my new space if I got rid of it? Is there sentimental value to this item? If so, could I take a photo of it to preserve the memories instead? When you are downsizing, focus on the space where you are moving. Typically, size matters in both physical size and quantity size. Will your new space hold oversized furniture? What about your collection of books, CDs, DVDs, etc.? Will you have a garage? Will you be in the city or walkable area with no need for 2, 3 or 10 vehicles? What about the exercise or lawn equipment? Will your new kitchen cabinets hold all 52 of your coffee mugs? It is cheaper and much easier to get rid of everything before the move because if you wait until after, you will find that you are paying to move it just to realize it won’t fit inside of your downsized space. Remind yourself of your goals and what you envision for your future to decide what to keep and when it’s time to say goodbye. Downsizing a home can cause stress and anxiety for many. If you are having a hard time getting rid of stuff, you are not alone. Here are some tips to take away some of the stress and make the process as easy as possible. Prepare yourself for complications. Things don’t always happen as planned and moving has its own set of complications. It’s physically and emotionally exhausting at times. Breathe and give yourself time. Don’t expect that you’ll use belongings you’ve never used before. If you think “I’ll use this one day.” trust us, one day will never come. Let go of your sentimental, guilty conscience. You don’t have to keep something just because it was a gift. Don’t keep something because you “spent a lot of money on it.” If you don’t need it, it’s worthless. There’s more benefit to getting rid of expensive items you don’t use than there is to keeping them. Be careful not to get “declutter happy” and give away everything. You may realize you got rid of something you needed and treasured. Take your time and put thought into each item. It’s OK to keep a small “maybe pile.” If there are items you are really stressing about and can’t decide what to do with, put them aside to consider again. You can always put them in storage until you can decide. But we urge you to be firm with yourself and make as many YES/NO decisions as you can. If you are having trouble in any area, seek professional help. This goes for financial concerns, needing a Realtor’s help, or hiring someone to help you sort and organize your belongings. Remember your goal. The goal is not to get rid of everything, but to simplify your life. Don’t sacrifice your happiness because in the end, the whole point is to obtain the life you want. And finally, CELEBRATE! Once you are at a good place and all settled in to your smaller abode, take the time to celebrate your accomplishment! You deserve it. This is just the beginning of a new, simpler life. In the end, downsizing your home can be just what you need in your life. You can simplify your life and create a way to do things that mean a lot to you, all while saving money. If you come up with a plan before you downsize, you can create the environment you have been looking for during this stage in your life. Having your goals figured out allows you to make decisions in respect to your vision of what your life should look like. So go in there and fight the clutter with the pure ambition of a modest, enjoyable and simple life. Want more home buying or selling advice? Nestiny is a great place for home education and to help you gauge how ready you are to buy a home. Journey Homeward allows you to enter all of your wants and needs while the True Affordability Tool will break down your budget, showing what you can comfortably afford. You will also receive a free Ready Report that is personalized based upon the information that you entered. This report will give you a vital head start in the home buying journey, saving you valuable time and money.